Big update coming for Rylo tomorrow! Since my discussions with Rylo at CES 2018, we’ve known that Rylo has been holding back on some new features, including Bluetooth capability (!). Today, Rylo announced via an Instagram post that they would release their update tomorrow! Here are some of the features we might see! 1. Bluetooth capability. 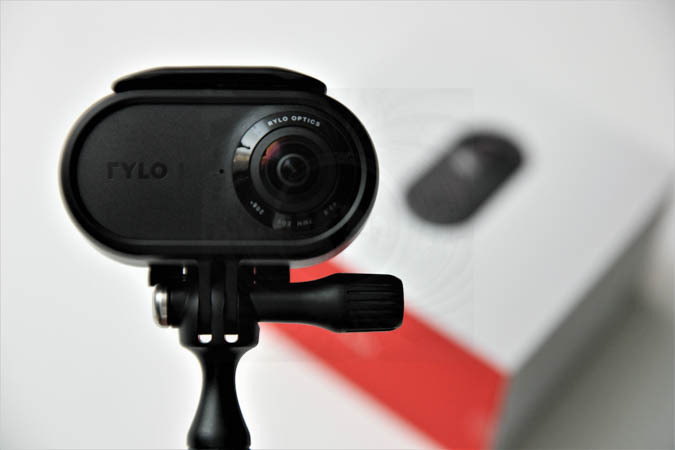 For the first time, Rylo will have wireless capability. This will let you move away from the camera before taking the photo, making it much more usable for photos. 2. Exposure control. I’m hoping that Rylo will add some way to adjust exposure before capture, like even simple exposure compensation. 3. Self-timer. One of the issues with Rylo is that it has no self-timer, which limits its usability for photos. A self-timer would finally make it possible to use it for 360 photos and virtual tours, not just 360 selfies. 4. Better white balance. One persistent issue plaguing the Rylo is the excessively warm white balance. Hopefully the update will fix this. 5. Improved image quality. This is admittedly more of wishful thinking, but if they can improve their shadow detail without sacrificing Rylo’s excellent highlight detail, it could improve its video quality rating, possibly even leapfrogging its rivals. 6. New overcapture / freecapture modes? Insta360 pretty much copied Rylo’s app interface for object tracking and keyframing. Will Rylo return the favor and copy Insta360 One’s gyro-based freecapture mode? 7. Lower price. Another item for wishful thinking. What features would you like to see? Let me know in the comments! Thanks to Trent Burns for bringing this to my attention!